It was quite a treat to be visiting the Canadian Rocky Mountains before any significant snow. 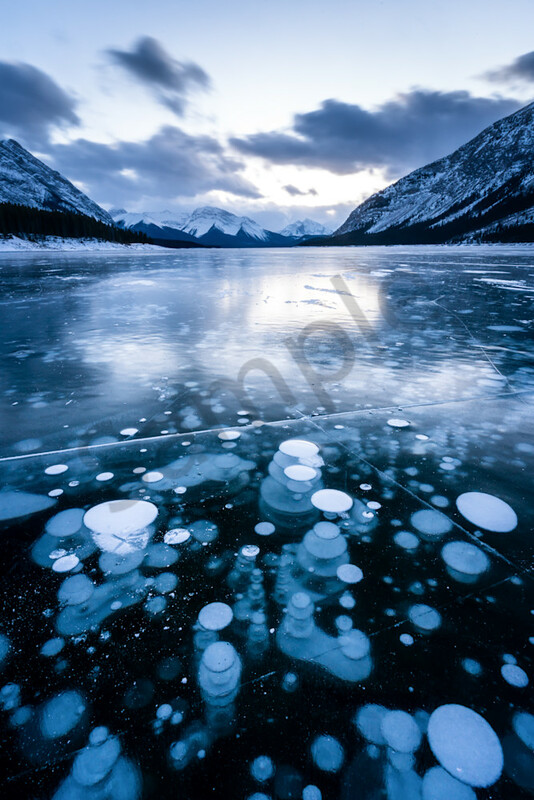 I made sure to venture out to one of the popular lakes near Canmore, Alberta to witness the beautiful frozen methane bubbles under the ice. This unique phenomenom originates from dying organic matter that decomposes at the bottom of the lake releases methane gas. Once it reaches the surface it becomes trapped by the frozen lake, which creates these amazing features during the winter.